A Real SRS Customer Story: A large US paint producer came to SRS looking for a solution for removing old dried up paint from their one gallon pails. The workers were washing approximately 4 pails/lids every 5 minutes. They needed a product that could not only remove cured paint from pails, but that could also handle the workload. The producer had previously used Acetone to wash the paint from their pails. The company came to us wanting to clean their pails more thoroughly and in faster time. 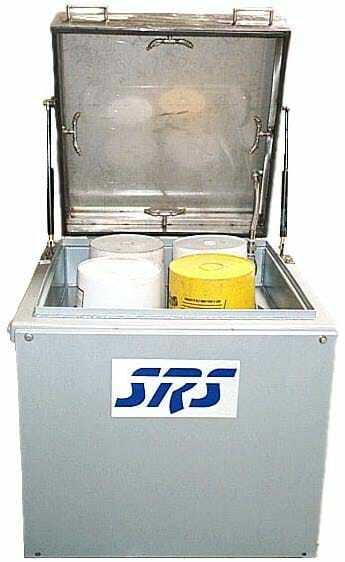 SRS provided them with a PW-Series washer. Ultimately the system allowed them to wash their pails with a simple switch to “set it and forget it”. Furthermore, this solution also kept harmful fumes away from the workers who were directly exposed previously. A Real SRS DE Customer Story – A customer required a washer to wash the interior and exterior of 5 Gallon pails contaminated with inks from their printing process. The company was washing approximately 30-40 pails over an 8 hour shift using Ethel acetate solvent as their wash solution. Utilizing a multi-container wash rack, SRS DE designed a customized 6 pail rack to wash 6 pails in one wash cycle using the PW-Series; the PW-6. Utilizing a high pressure wash pump the PW-6 was able to remove ink residue from the interior and exterior surfaces of their parts. Additionally, SRS incorporated a wash re-circulation cycle into the PW-6 design. This wash cycle saved the customer money by giving them the ability to reuse the same washing solution multiple times. 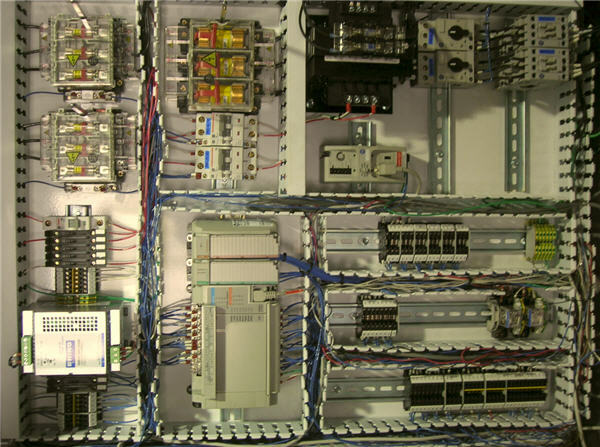 With the PW-6 pail washing system, the customer now has the ability to choose the number of cycles while controlling the various other operational aspects of the unit by using our programmable logic controller (PLC). 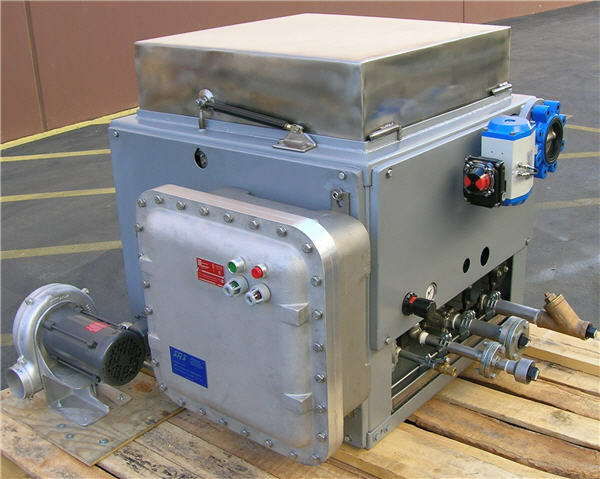 Since solvents are volatile compounds and are highly explosive, the explosion proof option was incorporated to ensure overall safety of the unit. A Real SRS Customer Story – A large Canadian pharmaceutical company came to SRS looking for a washing solution for their 5 gallon pails. The pails had to be washed to a pharmaceutical grade standard on both the interior and exterior. The company was washing approximately 135-150 pails per 16 hour day. 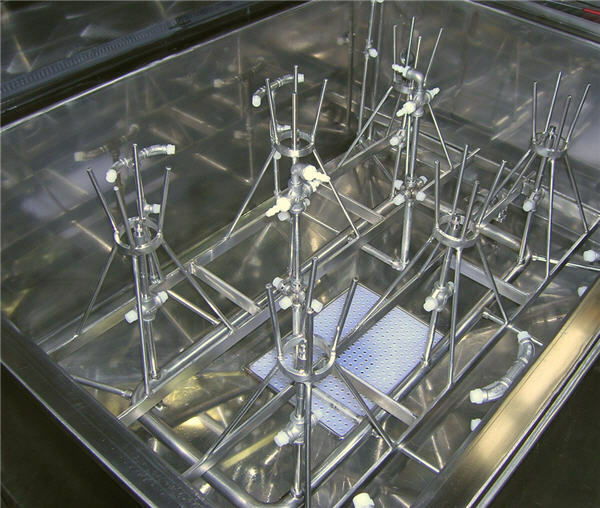 Utilizing a multi-container wash rack, SRS designed a PW-8 Series unit for them. 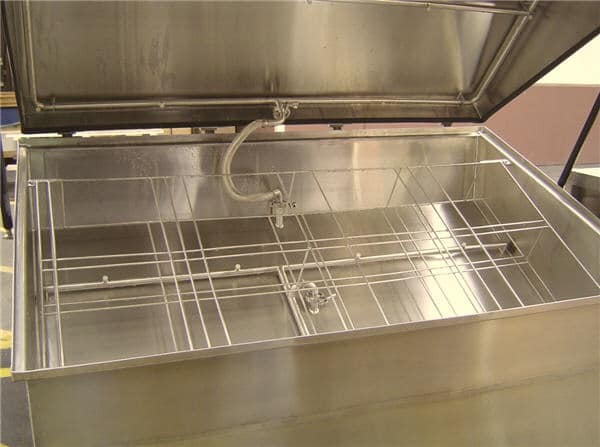 The 316L Stainless Steel customized 8 pail rack washer gave them the ability to wash up to 8 pails in one wash cycle. The PW-8 Series also gave the company the ability to wash multiple different sizes of containers ranging from a small 6 ounce container to a larger 5 gallon pail. 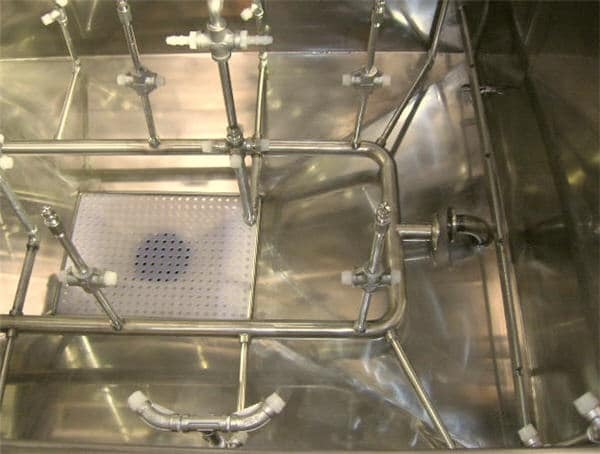 The washer utilized Pharmaceutical pumps and tri-clover connections to wash, rinse and sanitize the pails using deionized water. 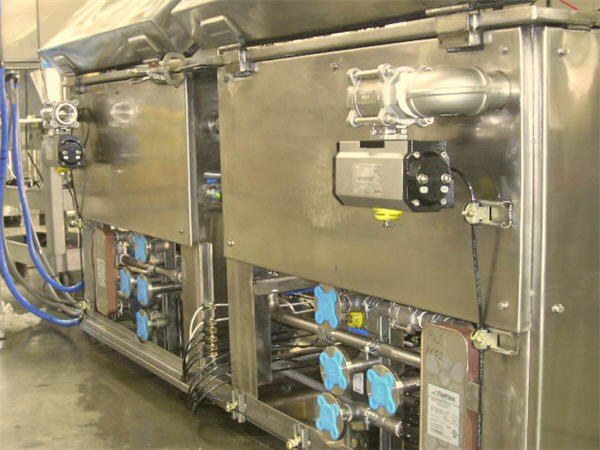 Prior to implementing the PW-8 Series washer, the pharmaceutical company was washing these containers by hand. 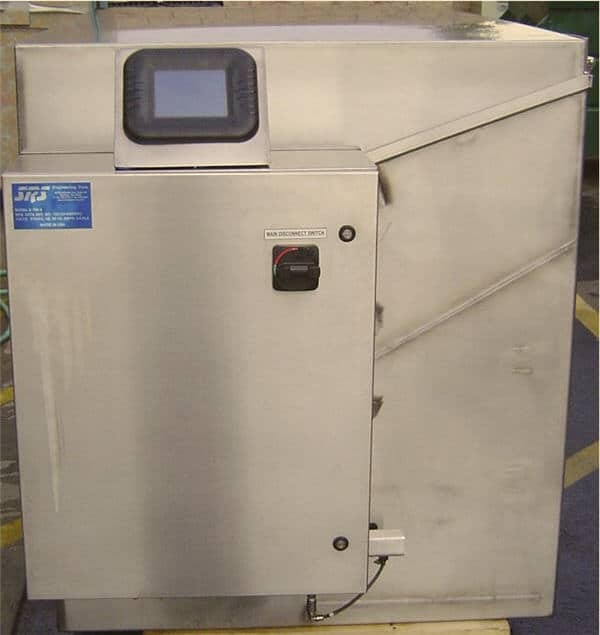 Due to anticipated growth within the company, an automated washer unit like the PW-8 was a necessity. 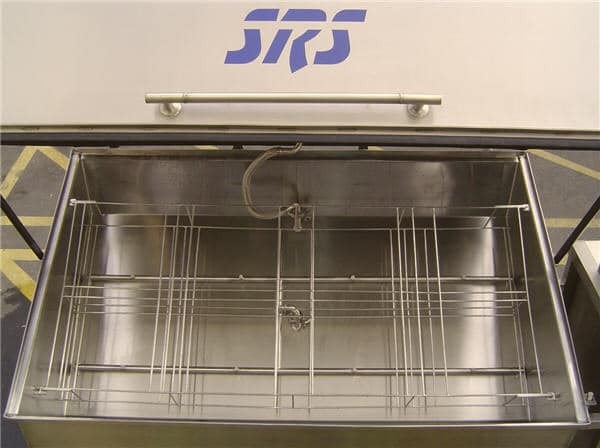 A Real SRS Customer Story – A large fortune 500 company specializing in ink, photo-polymers, and proprietary chemicals came to SRS looking for a pail washer. The containers and hoses were all contaminated with inks and proprietary compounds and in the current process, were being washed with a special concentrated detergent. The company was washing anywhere from 150-200 containers per 8 hour day. The Carbon Steel washer the company was currently using had corroded to the point of non use after only 2 years in service. 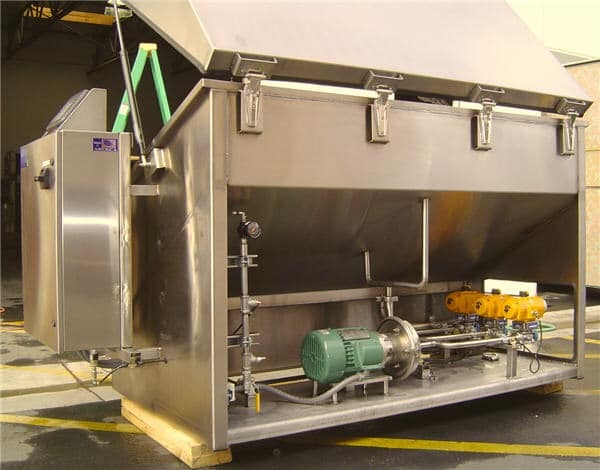 Therefore, SRS designed a PW-12 series washer to eliminate the problems this company was currently facing. 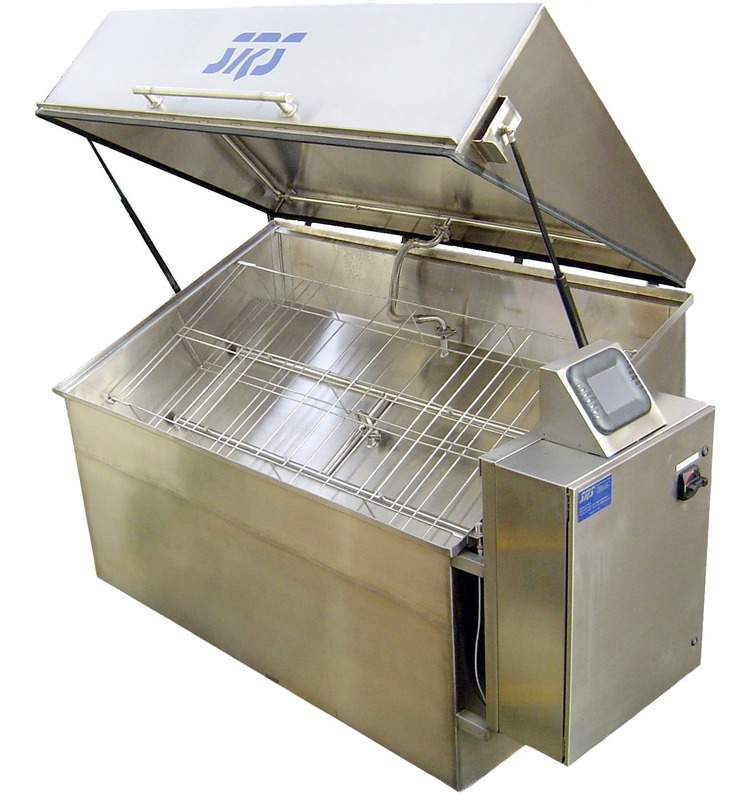 The new SRS PW-12 washer was a 316L Stainless Steel, dual 6 pail system with independent controls, and independent insulated and steam heated wash sumps. 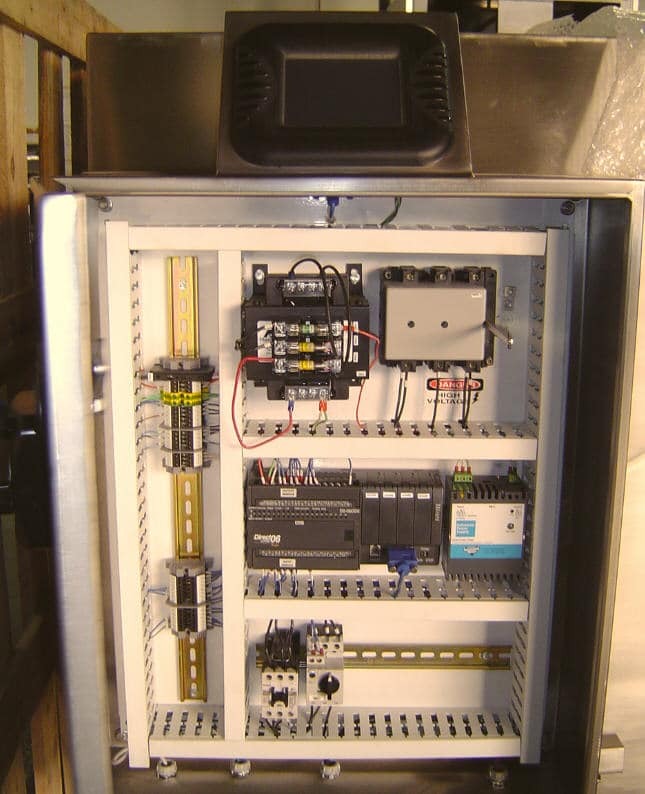 It was also designed to fit through small doorways and conform to the customer’s current control standards. By implementing the PW-12 series washer into their daily work flow, the customer was now able to wash 100% of their parts. 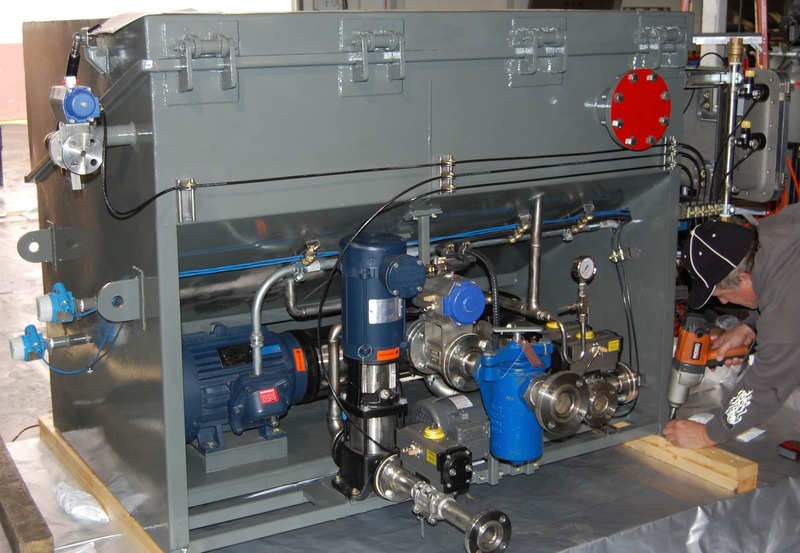 In addition, we included specialty hoses, and all within a faster, more efficient manner. They noticed within less than 3 months that they had experienced a 100% return on their investment.